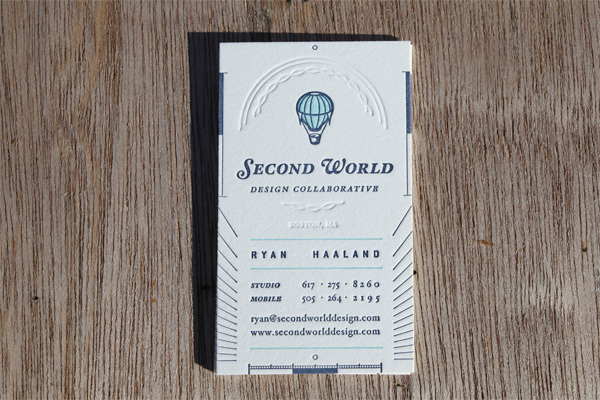 Good friends over at the SDC designed these cards as part of their initial self-promo package. 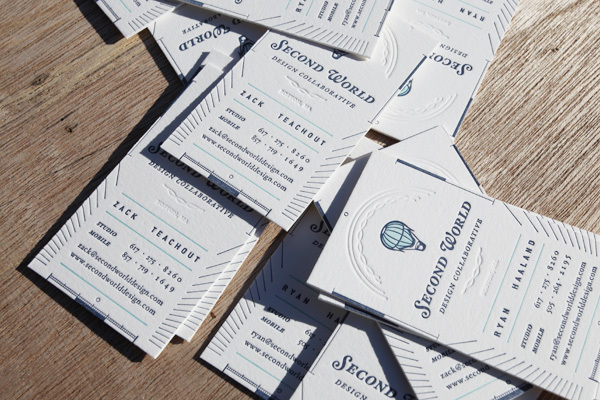 The cards feature a blind impression alongside custom PMS629 and PMS534 ink matches. 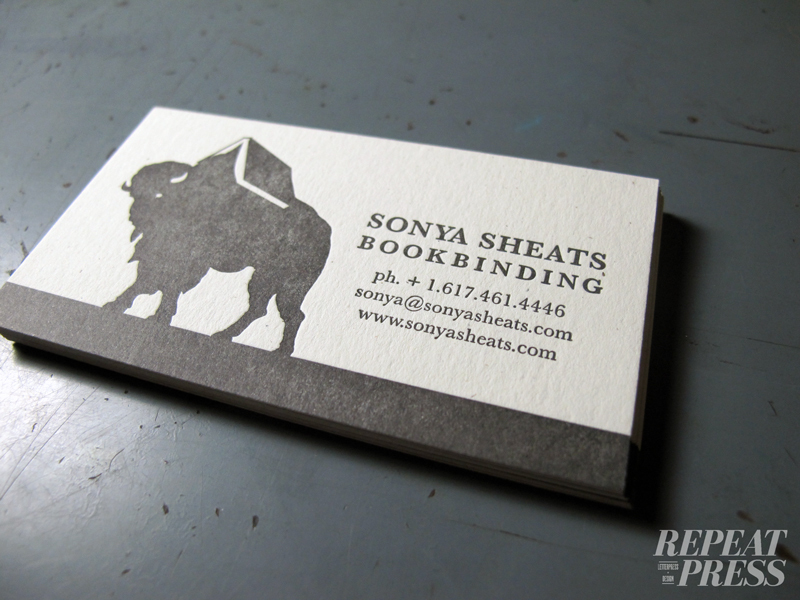 Printed on Crane’s 220lb pearl white Lettra paper, they’ve got some weight to them. 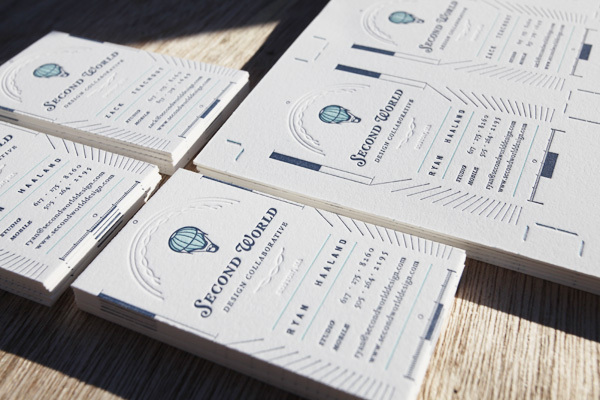 These cards were showcased on FPO with a nice writeup – have a look here! 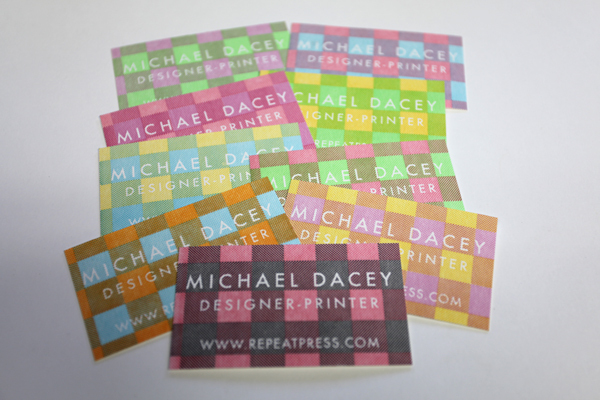 I’ve been getting a lot of questions about business cards recently, and to answer what’s usually the first question – yes! 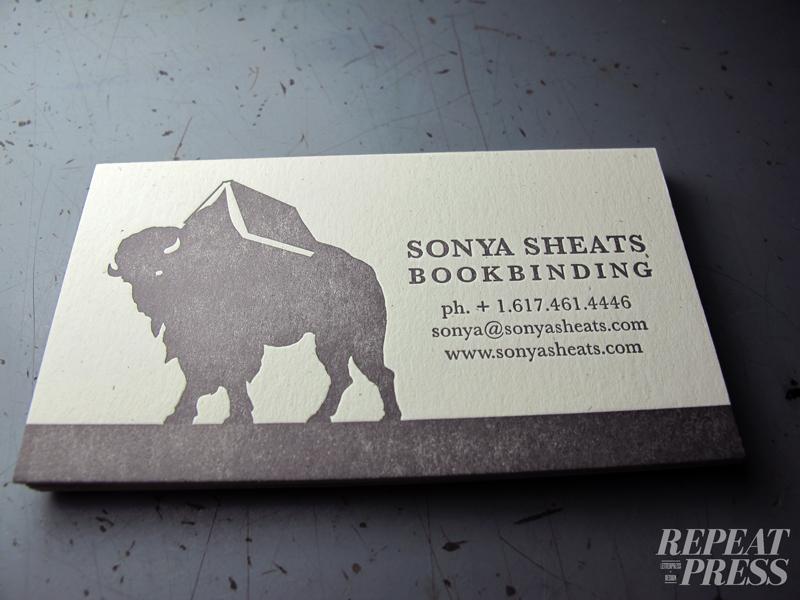 I do print business cards. Got some really nice stuff in line to get printed in the next few weeks too, so stay tuned for pictures when the jobs are completed. This card here comes courtesy of yours truly, printed up last spring just before the move to the new space. I’ve pretty much run through them at this point but for some reason they never made it to the web so here they are. 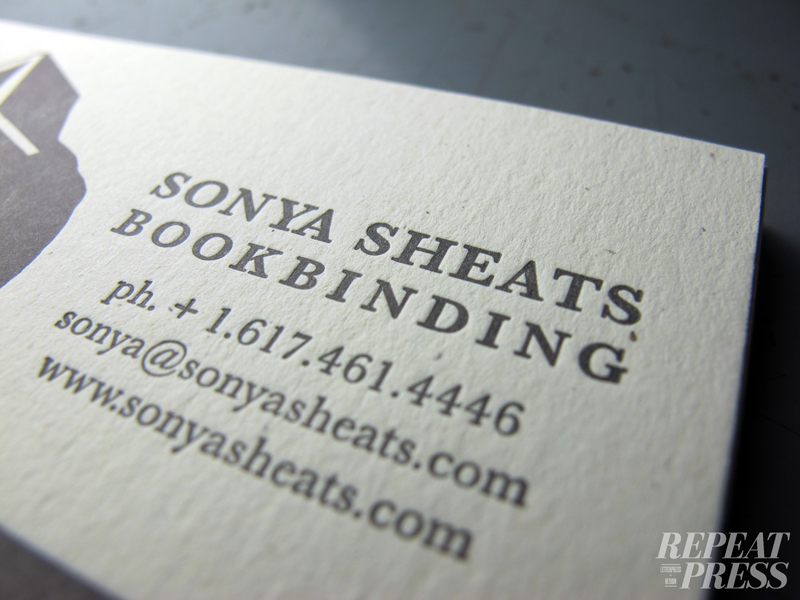 2 color on 100lb rag paper – registration was “fun” on this one. 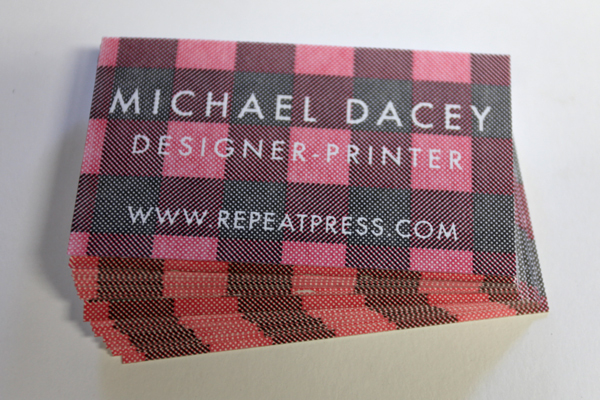 The red and black lumberjack was the primary colorway for these cards but with spring in the air and Vampire Weekend blasting at the time of printing I had to mix it up a bit and throw down a few color variations, as seen below.